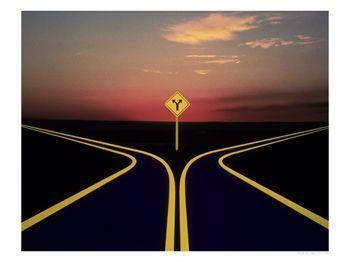 You come to a fork in the road, just not sure which way turn and you stand there just stuck in indecision. We’ve all been there…sometimes it’s a small decision like do we really want to do go to a movie or stay in–or a really big one, like do I leave my relationship, eliminate a toxic friend who’s negativity is way out of hand and you feel crappy every time you spend 5 minutes with her. You waffle, “yes” that’s it, I’m done with her and then “no” I can’t, what will everyone else think, etc. and the word FEAR shows up and you feel trapped “damned if I do, damned if I don’t”. So when this happens in my life, I ask myself what do I really value? Not just the material things, or my job, family, but if I tapped into what’s truly important in my life, has meaning, could I find the answer? 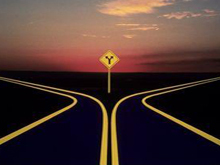 Roy E. Disney, once said, “when you’re values are clear, then decisions are easy”. Nicely said but with all the noise going on around us, how do any of us know where we stand on “our deal breaker” decision line? We get so caught up on the negotiations, compromises and “stuffing things’, just to keep the peace. One day-we just realize we don’t even know who we are or how we got here. What’s important to me about staying in this relationship? Is it hurting my self-worth to make the other person happy? If yes, the writing is on the wall “go”. What would my “wise self” tell my confused self to do; or tell my friend to do if she were in my shoes? Sit for a few minutes quietly, and the answer will seem obvious. What else do I need to know that I haven’t questioned? Do I have all the facts, how do I know they’re true? We make many assumptions based on fear or “what we think” but don’t take the few extra minutes to really look at the situation and assess the facts. What action will get me the results I want? What is my goal here? If I do “A”, do I get closer to what I want in my life? “Yes” – the writing is on the wall. Don’t listen to the fear…make the decision because it’s your truth. Fear-based decisions will always be wrong. So now that you know what you don’t want, you are much closer to knowing what you do want and what you value! Are you ready to achieve success in your business and attain the results you’ve wanted to, but not sure how? Then click HERE to schedule a FREE consultation with Kathy!